Have you heard of https://www.tradebit.com? If you have been working to improve your websites search engine placement, then I am SURE you know who they are. If not, https://www.tradebit.com is owned by interent giant https://www.tradebit.com. Alexa is designed to RANK websites by their popularity (number of visitors), links, etc. Alexa uses the Google search engine and others to gather this information to see which websites are getting the most traffic. Based on the info that they receive, they place the sites in a ranking list from 1 to 6 million. By improving your ranking and search engine placement, you will build your Traffic which in turn will make MORE Sales. There are many ways to build your sites traffic, but when first starting, it is very difficult. Rank Enhancer can help speed things up, whether you site just went online, or you have been around for years! 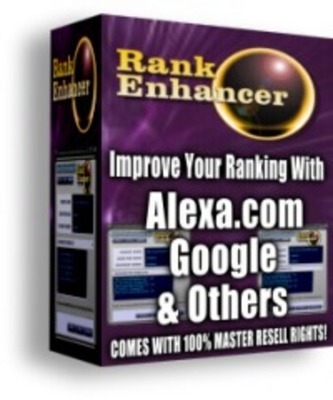 Rank Enhancer has found a way to help you improve your ranking and placement by using special technology that tricks these systems into thinking 1000s of vistors are already coming to your website. When they crawl your site, and see all this activity, that helps move you up the ladder. We came across this technology in other software products. We thought there were a few items missing in their packages and also thought they were a bit overpriced. So we tracked down the programmers and bought the rights and had them create a special version just for us. Visit the Alexa website at https://www.tradebit.com If your site is not ranked yet, enter your web address below so the Alexa system can crawl your site and start gathering the required information. Alexa Hack Software alexa hack;alexa trick;seo hack;website ranking 107435850 4.00 vasco Fresh Download Available!